..a great wedding this past weekend that started out with lovely blue skies, then a crazy storm blew in during the formals, and then cleared up again afterwards. If the world is not cooperating (traffic, weather, someone is late..) don't give up, don't get frustrated. 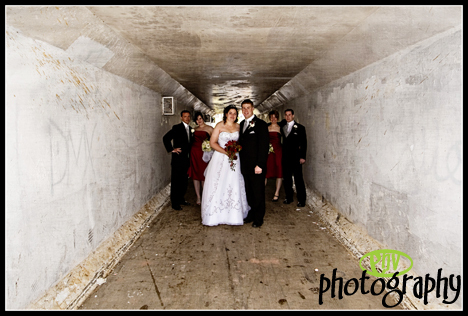 Be prepared, be patient and budget some extra time for your photos - it's not just "worth it", it's your ONLY chance! 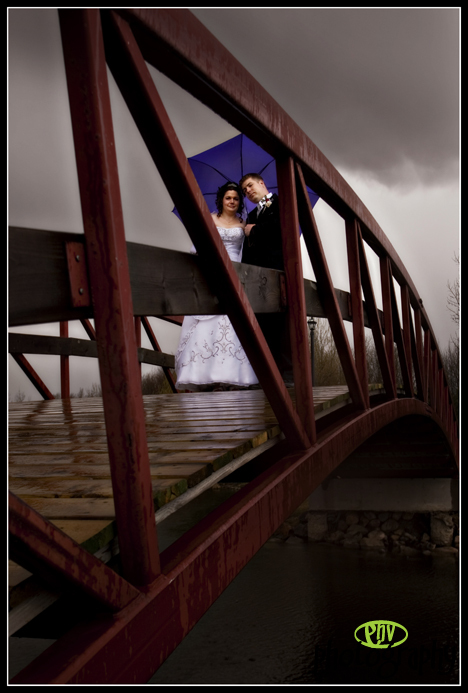 Like the intrepid couple on these shots, take cover, adapt and finish your photo session. Even if you end up having to alter the original "plan", who cares? 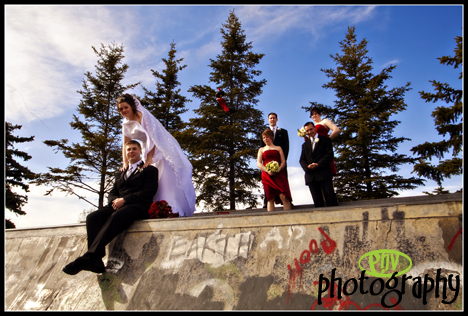 A talented professional photographer can make use of any locale..